The handset is equipped with the world’s best camera The rear camera of 12MP provides optical image stabilization, keeping the videos and electronic image stabilization, along with dual pixel technology. The HDR+ elegantly generates the best and amazing shots in darkness, and blurs background giving DSLR like images. The Pixel 2 runs stock Android which comes with quick updates and security patches. Besides, the handset also features high definition stereo speakers. The 4GB RAM sounds excellent for using multiple apps at a time. Even such RAM is suitable for playing world class HD games. It runs 64 bit octa core Qualcomm Snapdragon 835 processor, that enables the operation in a meteoric way. Google Pixel 2 Xl was launched on 15th November, 2017 in India. The phone is equipped with the world’s best camera. The photos taken are not required to delete, as the phone comes with unlimited storage. With a squeeze you can launch your Google assistant for real time help. You get high definition stereo speakers, with high resolution displays. The mobile lets you know with complete info of the unknown song played in a coffee shop. The fast charging technology, provides a short span of time in charging the smartphone. The Google play protect works continuously in the background to keep your device, data and apps safer. The device comes with security chip to reinforce the lock screen against malware and hardware attacks. You also get security updates for at least 3 years, thus making you highly secured about the privacy. The phone comes in Just Black, Clearly White and Kinda Blue. Get the cinematic view with big 6.0” display. The aspect ratio of 16:9, FHD at 1440*2880 AMOLED at 441ppi, provides the most outstanding and HD quality viewing angle. The gorgeous display comfortably suits your gaming and videos in spectacular way. Elegantly, the display is protected by gorilla glass 5, which prevents your phone from any kind of damages. The phone runs 64 bit octa core(quad core 2.35GHz + quad core 1.9GHz) Qualcomm Snapdragon 835, coupled with Adreno 540. Such incredible processor, enables you with low maintenance and high performance. The 4GB RAM sounds excellent for using multiple apps at a time. Even such RAM is suitable for playing world class HD games. The storage of 64GB invites you daringly, to dump whatever you feel like on the largest scale. The mobile features 8MP front camera with an aperture on the front and a 12.3MP camera with aperture lens of f/1.8 on the rear. The rear camera also provides optical image stabilization, keeping the videos and electronic image stabilization( helpful in keeping the videos steady and capture the best moments no chance of missing ), along with dual pixel technology. The HDR+ elegantly generates the best and amazing shots in darkness, and blurs background for giving DSLR quality images. So capture the best photos of yours with ultimate confidence. The smartphone includes wi fi 802.11 a/b/g/n/ac, dual band, wi fi direct, DLNA, hotspot, 5.0, A2DP, LE, aptX, 3.0, Type-C 1.0 reversible connector, with A-GPS, GLONASS. The mobile is fitted with non removable Li-ion 3520 mAh battery, featuring second generation performance controller and custom battery design. With Pixel 2 XL you get up to 7 hours of battery life from just a 15 minutes of charging. It runs android oreo 8.0(oreo), packed with full spread of Google’s most popular apps. The uninterrupted service will make you edge towards the least tiresome and gruesome experience, while operating the device. The fingerprint sensor works blazingly fast. The most accurate sensor unlocks in a flash. The intelligent and smart fingerprint sensor ensures all photos, files, messages, and documents, accessible only after you touch. This is certainly the safest way to secure your privacy. For hi tech gadget lovers, the mobile pens down with the best price at INR 69,999/-. The price looks scintillated for those, willing to possess multi dimensional features extravagantly in the greatest extent. Google Pixel 3 owner receives 10 new smartphones against a refund of his defected phone. 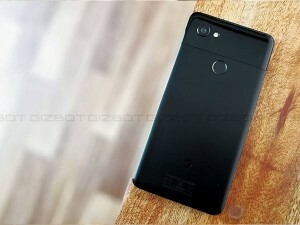 Google Pixel 3a, Pixel 3a XL new leak hints at pricing details. The Pixel 3a will retail for CAD $649, whereas, the Pixel 3a XL will come with a price tag of CAD $799 (roughly around Rs 41,509). Follow these simple steps to enable the Dual-SIM feature on your Google Pixel 3 smartphone with Android Q beta. All you need to know about the e-SIM feature. Google and Huawei have decided that they will pay $400 as a class action settlement to Google Nexus 6P owners. Here's how you can claim.